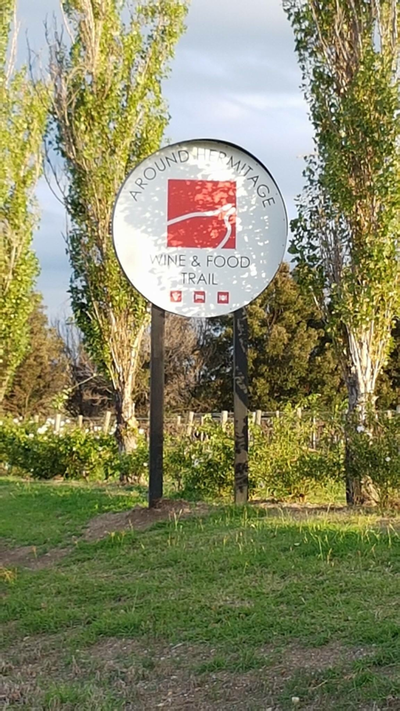 Please note - Some wineries charge an tasting fee that is taken off the wine when you purchase. 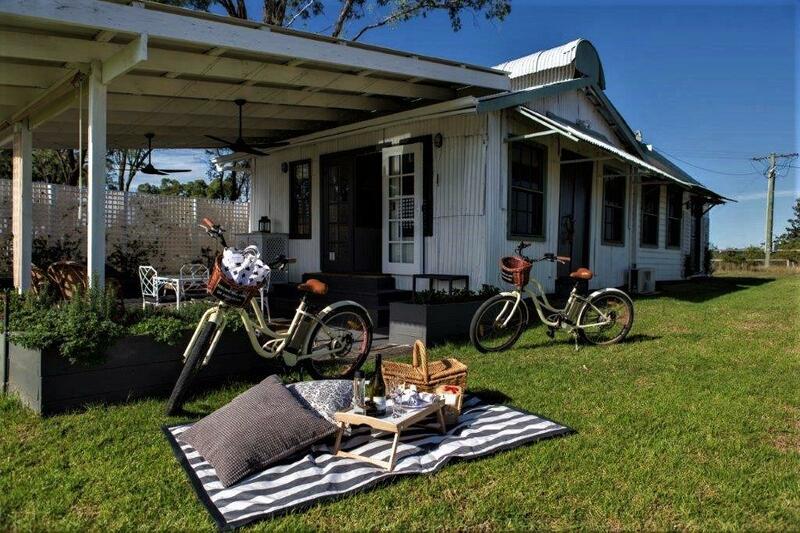 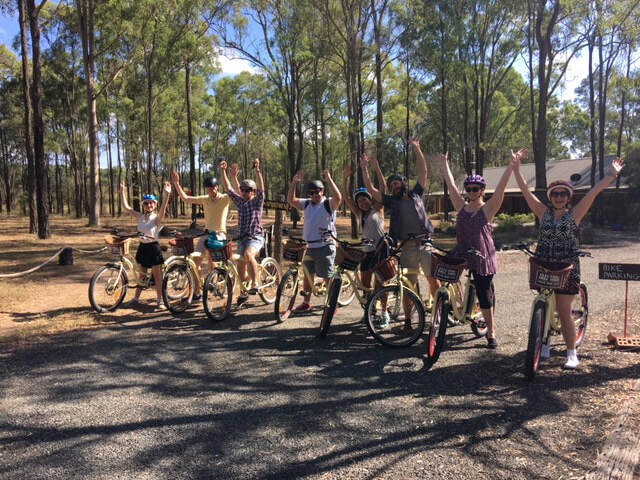 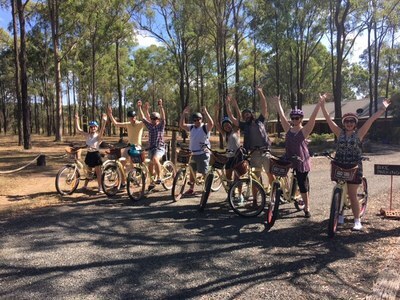 Welcome to Sutton Estate Bicycle Hire in the Hunter Valley. 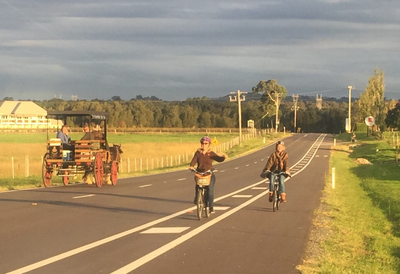 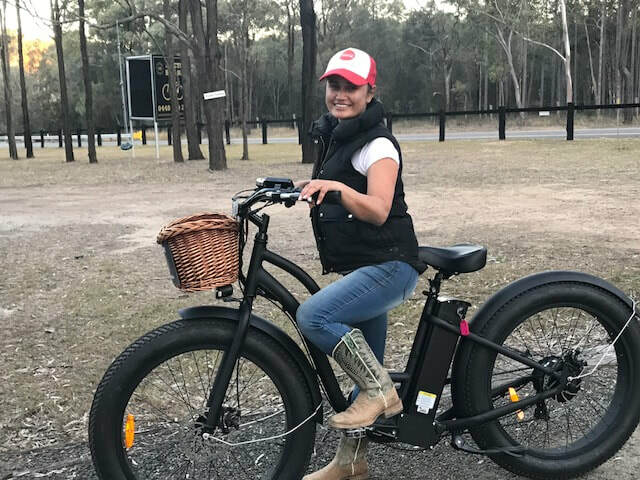 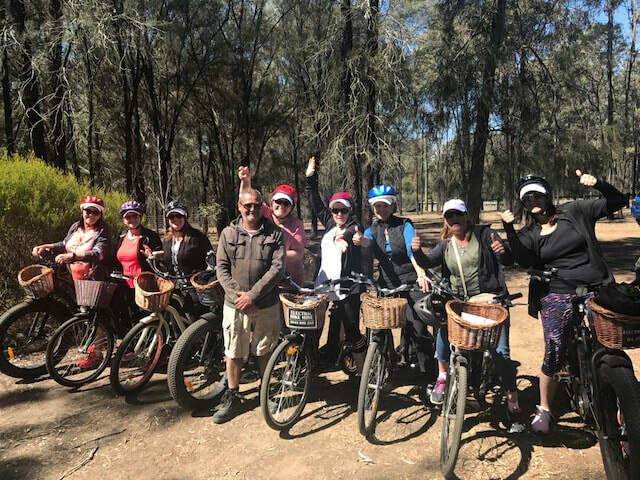 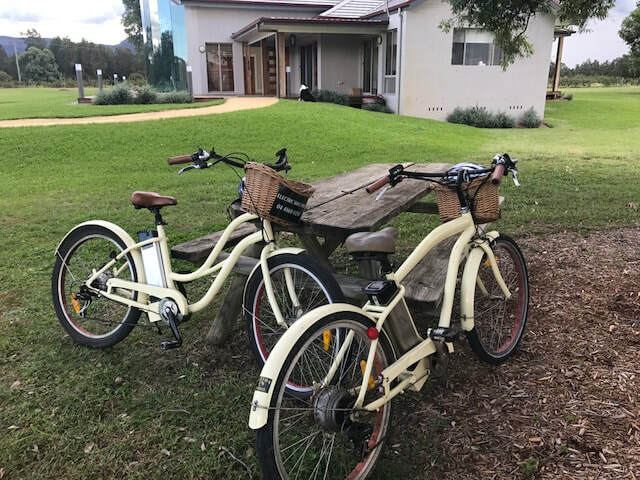 Come and see the Hunter Valley by motor assisted bike and you will be amazed how easy they are to ride and make your experience so enjoyable. 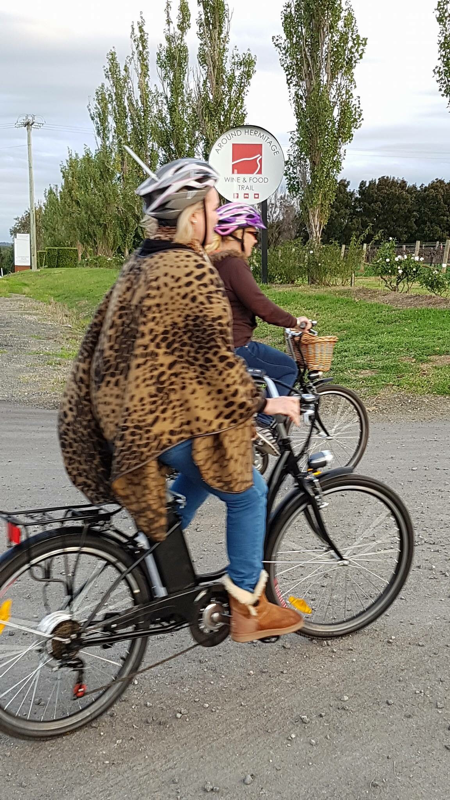 Peddle if you like, or don't peddle up those hill if you don't feel like it. 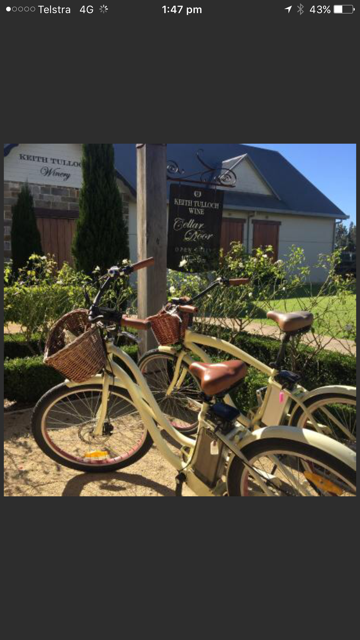 A great fitness experience especially for corporate events/ families or large groups. Visit the many wineries in motorised style and enjoy the wind in your hair and experience your tour at you own pace. 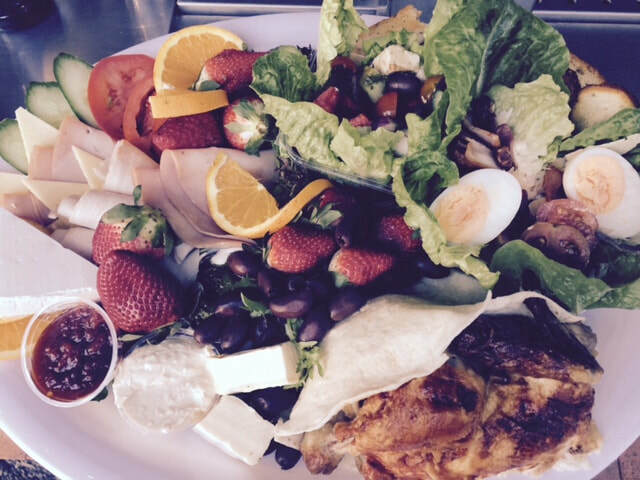 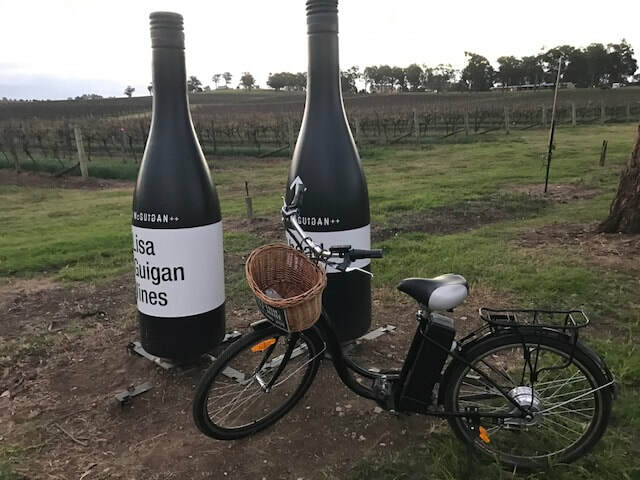 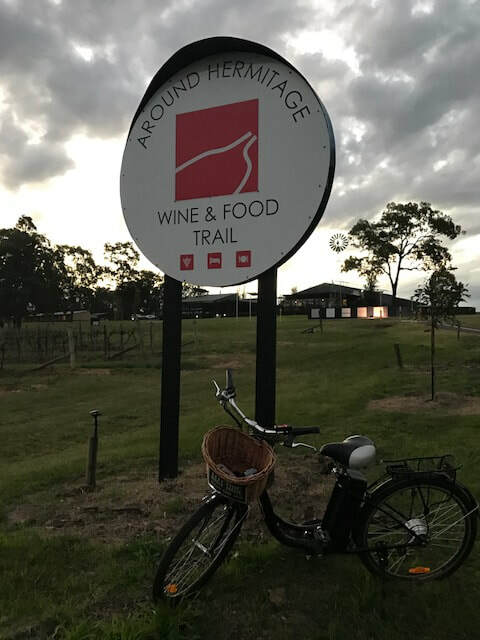 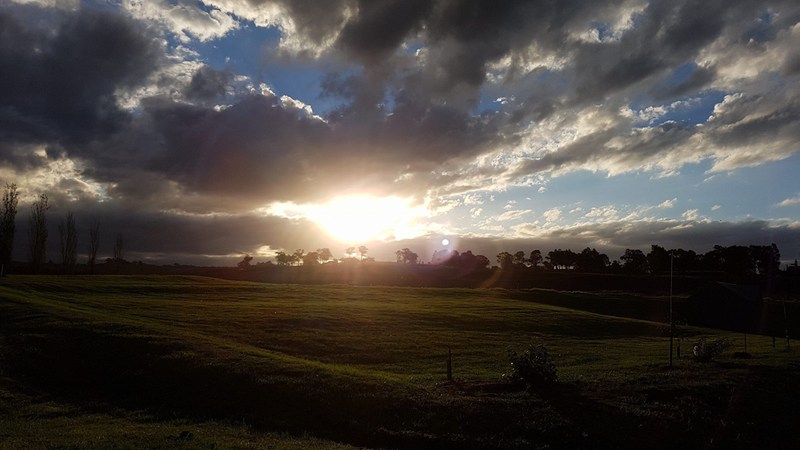 We are located on the Around Hermitage Food and Wine Trail which includes Deasys Road to Hermitage Road and the surrounds which has a bike lane, their are many Wineries, Restaurants and Activities to enjoy! We will go through the local area map and suggested places to visit depending on your needs and likings. 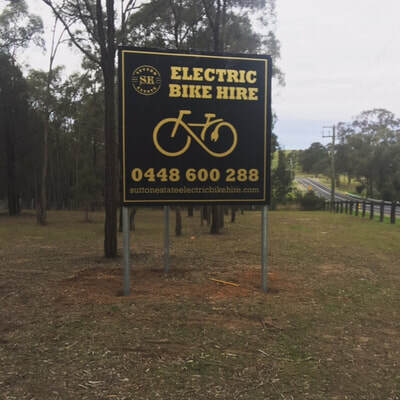 We offer on road servicing (the phone number is on the basket) and also offer pick up on request for full day hire (minimum 4 people). 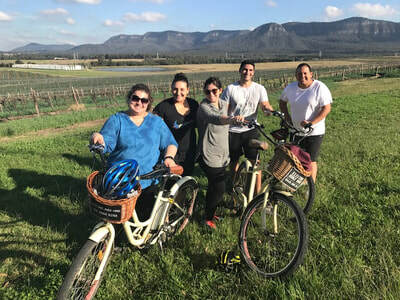 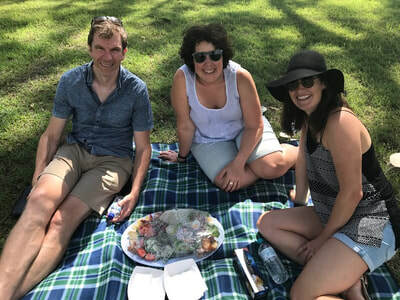 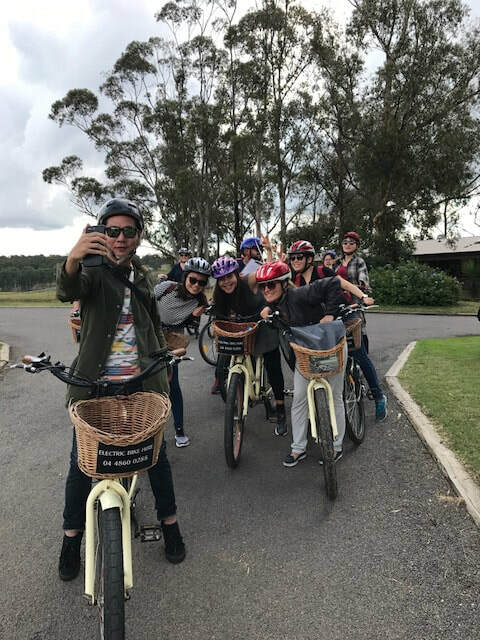 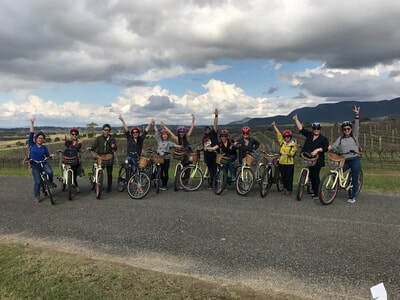 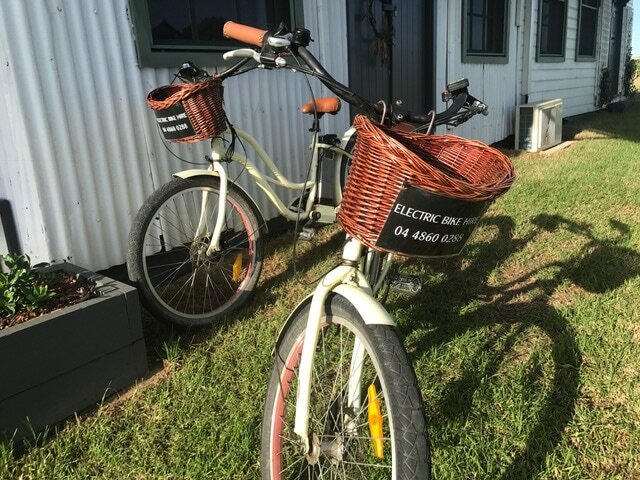 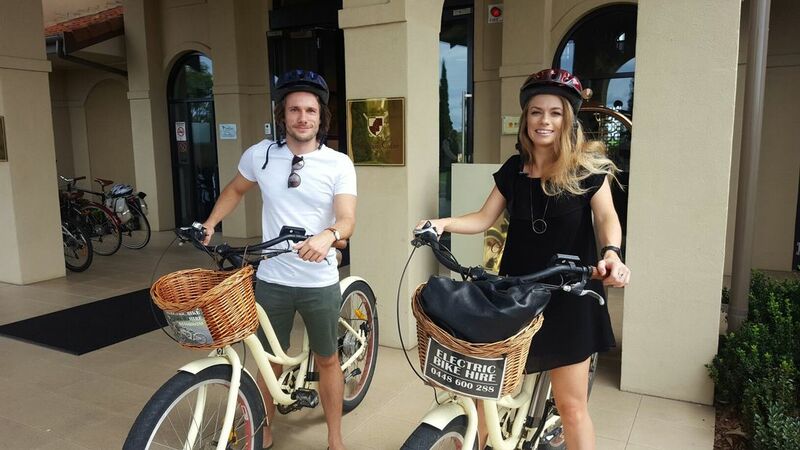 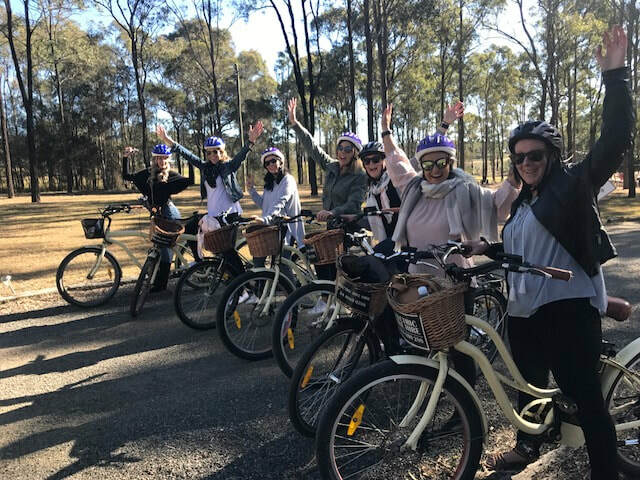 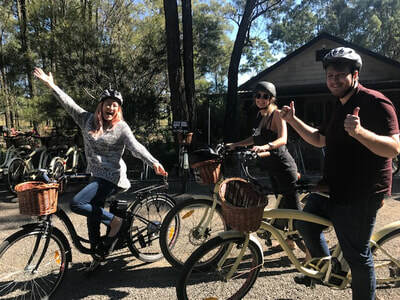 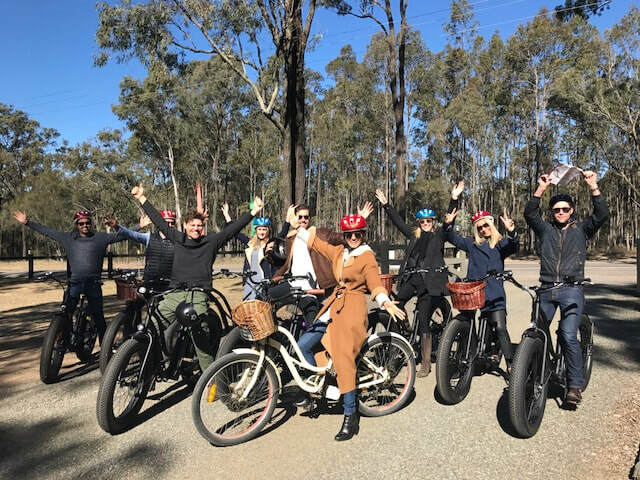 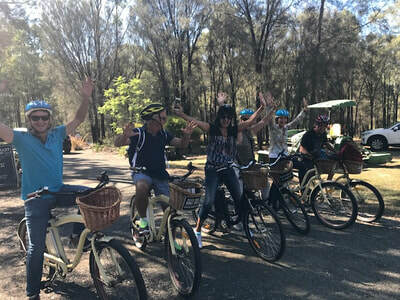 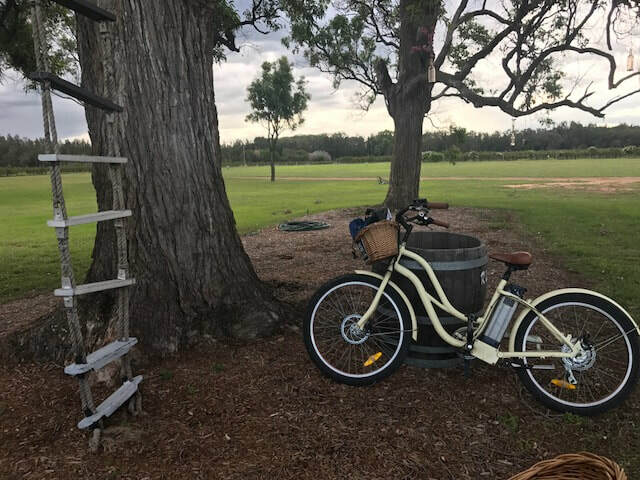 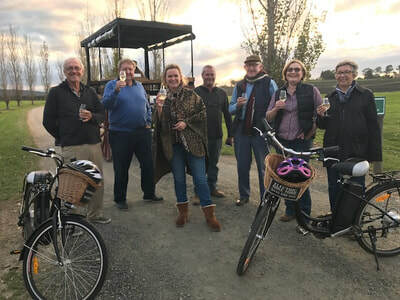 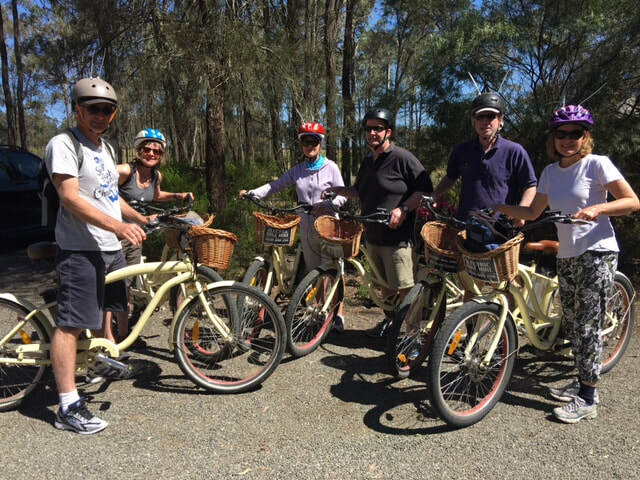 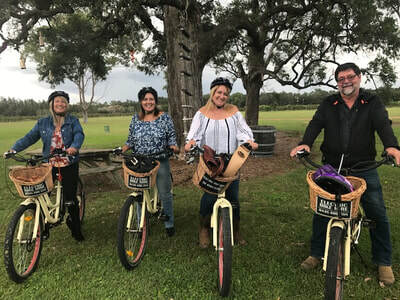 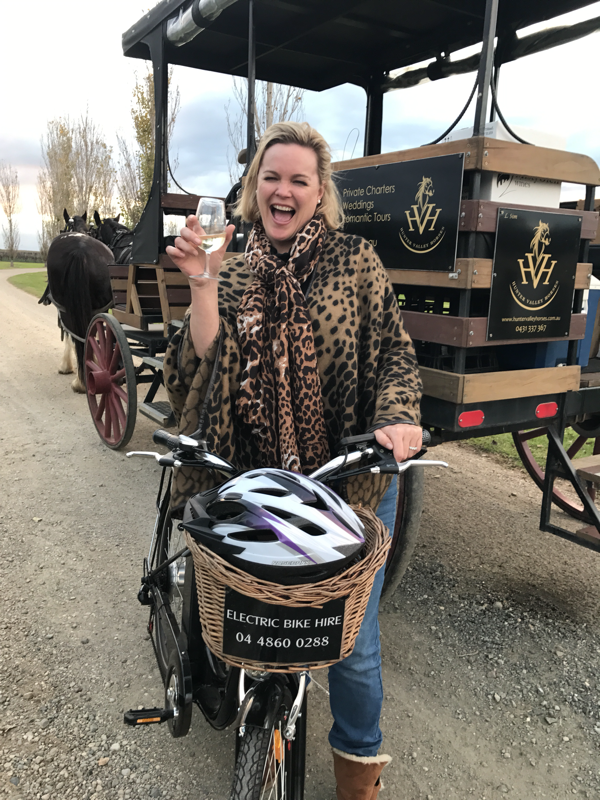 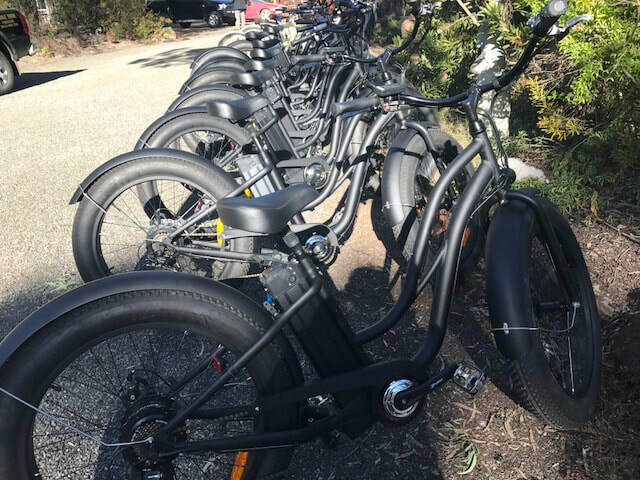 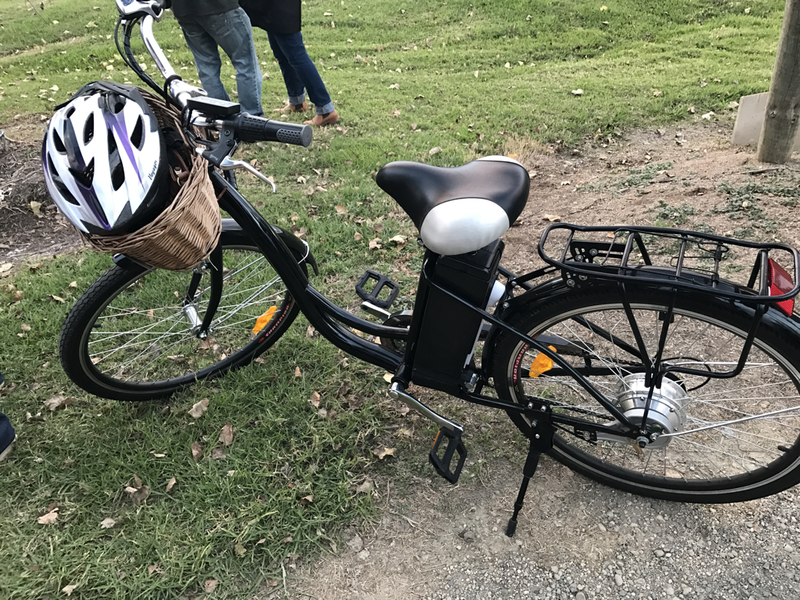 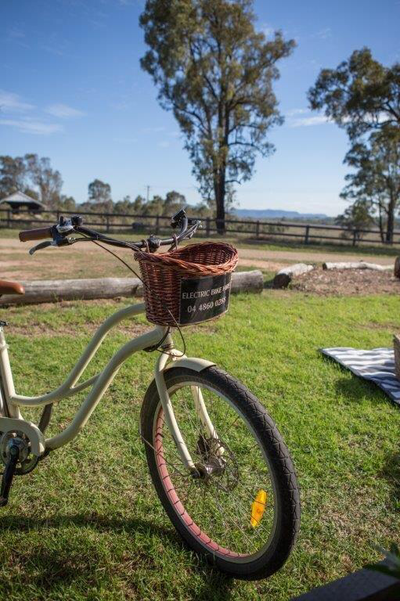 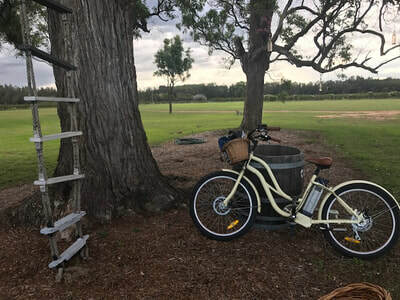 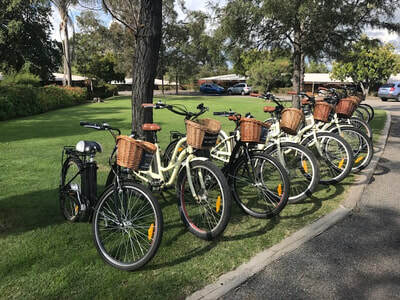 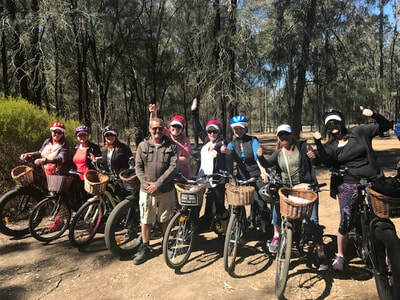 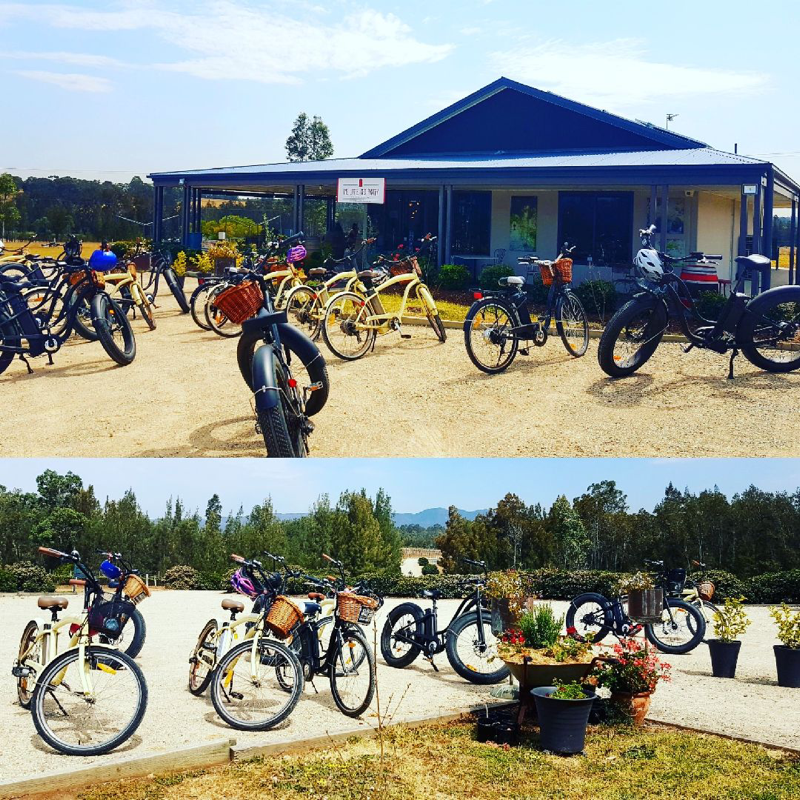 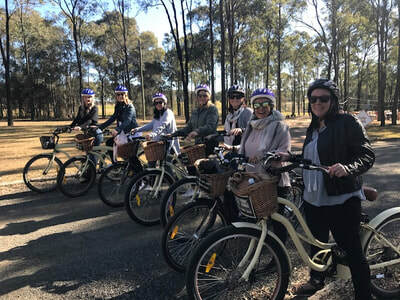 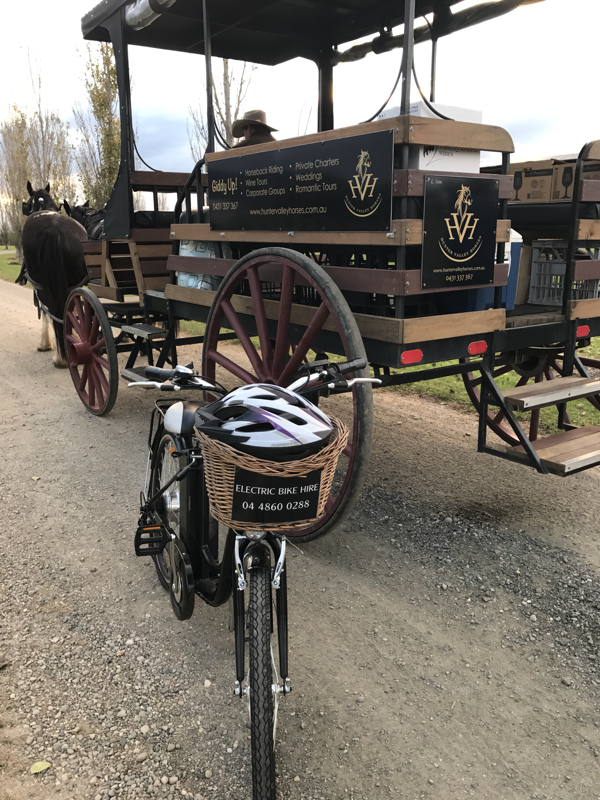 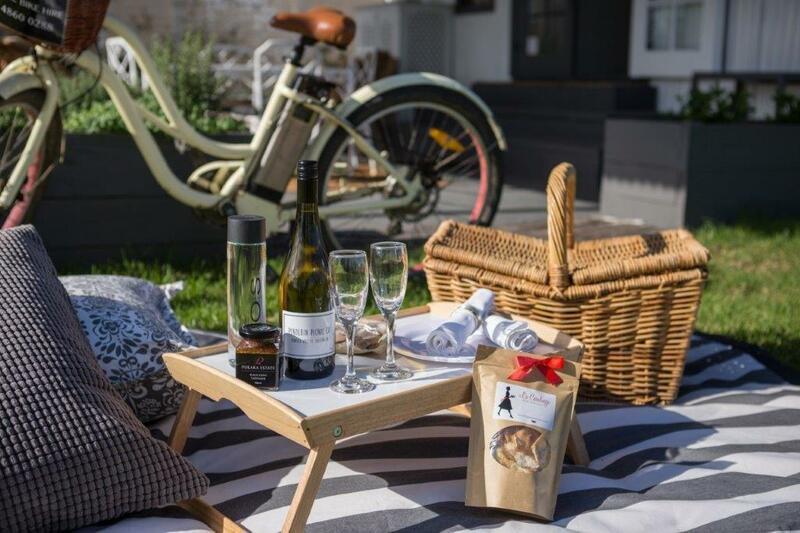 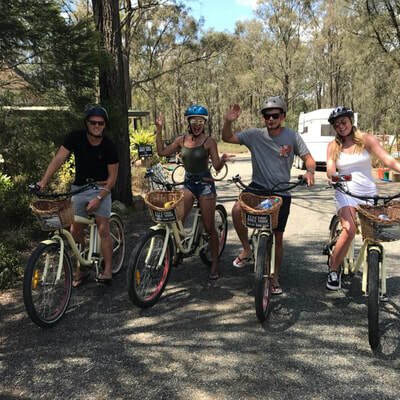 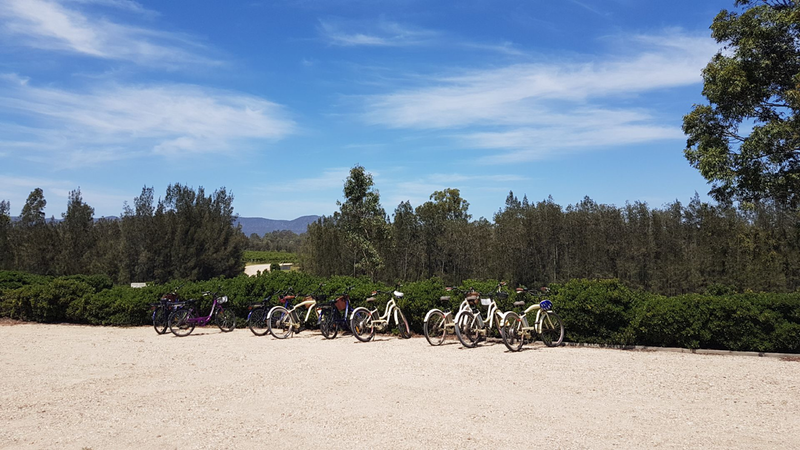 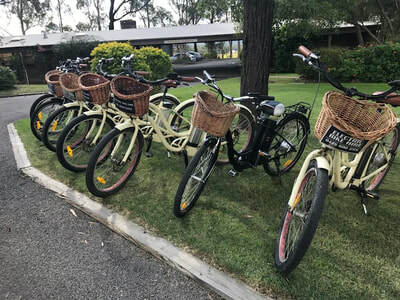 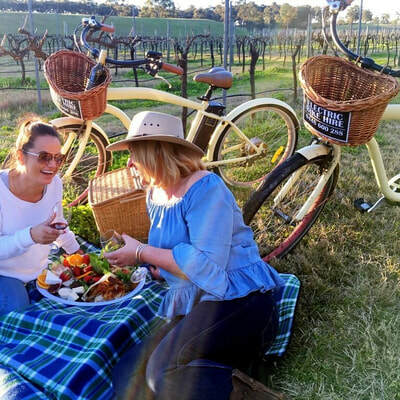 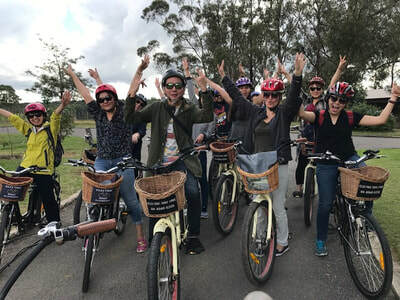 Sutton Estate hire in the Hunter Valley is the best way to experience the serenity of the beautiful winery views, to experience some of the best wineries and the best produce by motorised bike will make your trip very memorable. 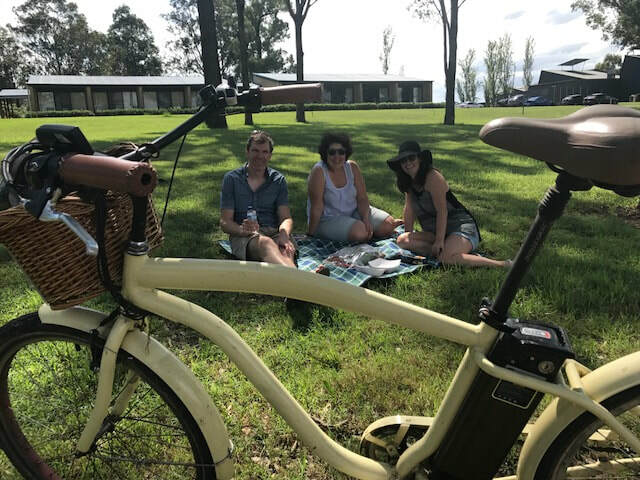 With the fresh air, the beautiful vines, amazing restaurants, delectable food including chocolate and cheese's, and fabulous scenery, its an experience that's highly recommended on your trip to the Hunter Valley. We have extensive knowledge of the Hunter Valley and we look forward to sharing our piece of paradise with you.